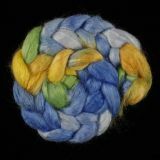 A1 Quality Tussah Silk Sliver/Roving hand-painted in 24 Salt Spring Island colorways. 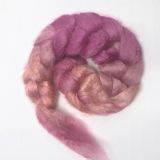 The Salt Spring Island colorways have been developed by Karen Selk, Kim McKenna, Hues by Cheryl, Mary of Deerhaven Productions, Charlene Wolff, and Susan Du Bois for Treenway Silks. 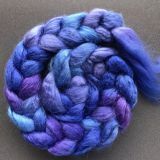 Salt Spring Island colorways are hand-painted in Colorado. 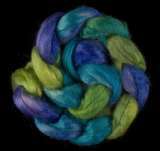 Our silks are colorfast and our colorways are consistent. 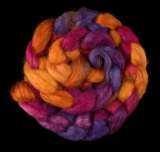 Hand-painting silk roving is a labor-intensive process. 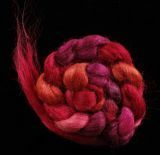 Because silk loves dye, it grabs the color quickly so the dye doesn’t wick. 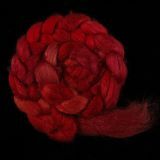 It requires careful manipulation and effort to achieve even color coverage on silk roving. To see all the Salt Spring Island colors and examples - click here. Save! Buy 2 and get the 3rd at half price. Mix/match your Salt Spring Island colorways. ** NEW ** Save! Buy 2 and get the 3rd at half price. 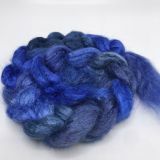 Mix/match your Salt Spring Island colorways. ***NEW Limited Edition COLORWAY*** Pinks of all shades! Save! Buy 2 and get the 3rd at half price. Mix/match your Salt Spring Island colorways. ***NEW Limited Edition COLORWAY*** Save! Buy 2 and get the 3rd at half price. 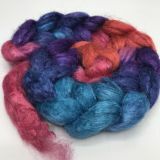 Mix/match your Salt Spring Island colorways.